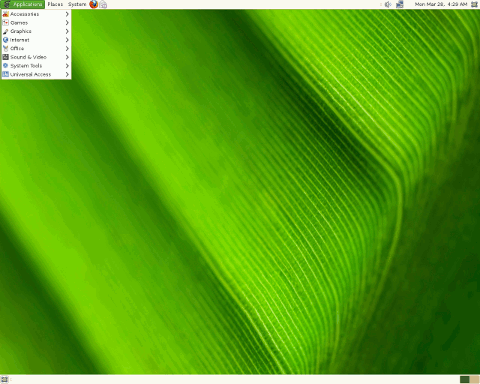 Foresight Linux was a desktop operating system, based on rPath Linux, featuring an intuitive user interface and showcasing the latest desktop software. As a Linux distribution, Foresight sets itself apart by eliminating the need for the user to be familiar with Linux, combining a user-focused desktop environment on top of the Conary package management system. As the most technically innovative software management system available today, Conary ensures that users can efficiently search, install, and manage all the software on the Foresight system, including bringing in the latest features and fixes without waiting for a major release. Rate this project NixOS is an independent Linux distribution which uses and showcases the Nix package manager. Using Nix, the operating system can install snapshots of packages and manage software and services through a central configuration file. The project's latest release, NixOS 19.03, features iprovements to Kubernetes and offers a UEFI-enabled image for Aarch64-powered computers. "A major refactoring of the Kubernetes module has been completed. Refactorings primarily focus on decoupling components and enhancing security. Two-way TLS and RBAC has been enabled by default for all components, which slightly changes the way the module is configured. See: Chapter 32, Kubernetes for details. There is now a set of confinement options for systemd.services, which allows to restrict services into a chroot(2)ed environment that only contains the store paths from the runtime closure of the service. A UEFI installer image for Aarch64 is now built by Hydra. It should work on all devices with a UEFI implementation such as upstream u-boot." Further details can be found in the distribution's release notes. Download (pkglist): nixos-graphical-19.03.172138.5c52b25283a-x86_64-linux.iso (1,121MB, SHA256), nixos-minimal-19.03.172138.5c52b25283a-x86_64-linux.iso (520MB, SHA256). Also available from OSDisc. NixOS is an independently developed GNU/Linux distribution that aims to improve the state of system configuration management through the Nix package manager. The project has released a new version, NixOS 18.09, which carries the code name "Jellyfish" and will be supported through to April of 2019. "In addition to numerous new and upgraded packages, this release has the following notable updates: end of support is planned for end of April 2019, handing over to 19.03. Platform support: x86_64-linux and x86_64-darwin. Support for aarch64-linux is as with the previous releases, not equivalent to the x86-64-linux release, but with efforts to reach parity. Nix has been updated to 2.1; see its release notes. Core versions: Linux kernel 4.14 LTS (unchanged), glibc 2.27, GCC 7 (unchanged), systemd 239. Desktop version changes: GNOME: 3.28, KDE Plasma 5.13. Notable changes and additions for 18.09 include support for wrapping binaries using Firejail has been added; user channels are now in the default NIX_PATH, allowing users to use their personal nix-channel defined channels in nix-build and nix-shell commands, as well as in imports like import...." Further details can be found in the project's release notes. Download (pkglist): nixos-18.09.776.6a3f5bcb061/nixos-graphical-18.09.776.6a3f5bcb061-x86_64-linux.iso (1,095MB, SHA256, torrent), nixos-18.09.776.6a3f5bcb061/nixos-minimal-18.09.776.6a3f5bcb061-x86_64-linux.iso (516MB, SHA256). NixOS is an independently developed Linux distribution which is configured and managed using the Nix package manager. The NixOS project has released a new version, NixOS 18.03, which includes version 2.0 of the Nix package manager minor upgrades to the GNOME and KDE Plasma desktops along with several new services. "In addition to numerous new and upgraded packages, this release has the following highlights: End of support is planned for end of October 2018, handing over to 18.09. Platform support: x86_64-linux and x86_64-darwin since release time (the latter isn't NixOS, really). Binaries for aarch64-linux are available, but no channel exists yet, as it's waiting for some test fixes. Nix now defaults to 2.0; see its release notes. Core version changes: Linux kernel 4.9 to 4.14, glibc 2.25 to 2.26, gcc 6 to 7, systemd 234 to 237. Desktop version changes: GNOME 3.24 to 3.26, (KDE) Plasma Desktop 5.10 to 5.12. MariaDB 10.2, updated from 10.1, is now the default MySQL implementation." Further information can be found in the distribution's release notes. NixOS is available in a full Graphical edition running KDE Plasma and a Minimal edition which features a command line interface. Download (pkglist): nixos-graphical-18.03.131768.a74969256b0-x86_64-linux.iso (1,011MB, SHA256), nixos-minimal-18.03.131768.a74969256b0-x86_64-linux.iso (415MB, SHA256). NixOS is a Linux distribution which is assembled using the Nix package manager. Nix features package snapshots, rollbacks and the ability to manage the configuration of the operating system and its services. The NixOS project has released a new update, NixOS 17.09. The new version offers updated desktop packages, the ability to revive old user identification numbers (UIDs) and many new services. "In addition to numerous new and upgraded packages, this release has the following highlights: The GNOME version is now 3.24. KDE Plasma was upgraded to 5.10, KDE Applications to 17.08.1 and KDE Frameworks to 5.37. The user handling now keeps track of deallocated UIDs/GIDs. When a user or group is revived, this allows it to be allocated the UID/GID it had before. A consequence is that UIDs and GIDs are no longer reused. The handling of SSL in the services.nginx module has been cleaned up, renaming the misnamed enableSSL to onlySSL which reflects its original intention. This is not to be used with the already existing forceSSL which creates a second non-SSL virtual host redirecting to the SSL virtual host." A complete list of new changes and services can be found in the release notes. NixOS is available in Graphical and Minimal editions. Download (pkglist): nixos-graphical-17.09.1462.07ca7b64d2-x86_64-linux.iso (803MB, SHA256), nixos-minimal-17.09.1462.07ca7b64d2-x86_64-linux.iso (331MB, SHA256). NixOS is an independently developed Linux distribution which uses the Nix package manager to handle packages and system configuration. NixOS offers many advanced package management features, including roll backs and atomic package operations. The project's latest release, NixOS 17.03, ships with the KDE Plasma 5 desktop environment which replaces KDE 4. The PHP packages have been updated to version 7 and the Nix package manager includes a number of new features. "In addition to numerous new and upgraded packages, this release has the following highlights: Nixpkgs is now extensible through overlays; this release is based on glibc 2.25, GCC 5.4.0 and systemd 232; the default Linux kernel is 4.9 and Nix is at 1.11.8; the default desktop environment now is KDE's Plasma 5, KDE 4 has been removed; the setuid wrapper functionality now supports setting capabilities; X.Org server uses branch 1.19; due to ABI incompatibilities, ati_unfree keeps forcing 1.17 and amdgpu-pro starts forcing 1.18; cross compilation has been rewritten...." Additional information can be found in the distribution's release notes. Download (pkglist): nixos-graphical-17.03-x86_64-linux.iso (790MB, SHA256), nixos-minimal-17.03-x86_64-linux.iso (315MB, SHA256). NixOS is an independent Linux distribution which features the Nix package manager. Nix provides many special package management features, including declarative statements, snapshots and package rollbacks. The latest version of the distribution, NixOS 16.09, offers many new security features and more efficient use of disk space. "In addition to numerous new and upgraded packages, this release has the following highlights: many NixOS configurations and Nix packages now use significantly less disk space, thanks to the extensive work on closure size reduction; to improve security, packages are now built using various hardening features, see the Nixpkgs manual for more information; support for PXE netboot, see section 2.3, Booting from the 'netboot' media (PXE), in documentation; X.Org Server 1.18, if you use the ati_unfree driver, 1.17 is still used due to an ABI incompatibility; this release is based on glibc 2.24, GCC 5.4.0 and systemd 231; the default Linux kernel remains 4.4." Further details and a list of new supported services can be found in the project's release notes. Download (pkglist): nixos-graphical-x86_64-linux.iso (898MB, SHA256), nixos-minimal-x86_64-linux.iso (386MB, SHA256). Domen Kozar has announced the launch of NixOS 16.03. NixOS is built with the Nix package manager which isolates packages and provides atomic package installations, removals and upgrades. NixOS 16.03 is a fairly minor upgrade for the project, featuring updates to the kernel and systemd along with improvements to the Nix package manager. "NixOS community is proud to announce the third NixOS stable release 'Emu' 16.03. This is a low profile release, but it contains many small improvements. We had 10,567 commits from 448 contributors in this release spanning over six months. The release brings many improvements including Nix 1.12.2, systemd 229, kernel 4.4 and many packages updates." Additional information can be found in the project's release announcement and release notes. Download: nixos-graphical-16.03.468.2d840da-x86_64-linux.iso (1,004MB, SHA256, pkglist). NixOS 15.09 has been released. NixOS is an independently developed Linux distribution with a unique approach to package and configuration management, Nix package manager, atomic upgrades with rollbacks, and other interesting features. "NixOS 15.09 'Dingo' has been released, the fourth stable release branch. In addition to numerous new and upgraded packages, this release has the following highlights: the Haskell packages infrastructure has been re-designed from the ground up; NixOS now distributes the latest version of every single package registered on Hackage, i.e. well over 8,000 Haskell packages; Nix has been updated to version 1.10 which, among other improvements, enables cryptographic signatures on binary caches for improved security; you can now keep your NixOS system up to date automatically; this release is based on glibc 2.21, GCC 4.9 and Linux kernel 3.18." A brief release announcement has been published on the project's home page and there are more detailed release notes with information on upgrade incompatibilities. Download the live DVD image (with KDE 4) from here: nixos-graphical-15.09.517.5f8e6fb-x86_64-linux.iso (965MB, SHA256, pkglist). Version 14.12 of NixOS, a distribution that uses a custom package manager, deploys a unique file system layout, and offers various innovative features, has been released: "NixOS 14.12 'Caterpillar' has been released, the third stable release branch. In addition to numerous new and upgraded packages, this release has the following highlights: systemd has been updated to version 217, which has numerous improvements; Nix has been updated to 1.8; NixOS is now based on glibc 2.20; KDE has been updated to 4.14; the default Linux kernel has been updated to 3.14. If users.mutableUsers is enabled (the default), changes made to the declaration of a user or group will be correctly realised when running nixos-rebuild. For instance, removing a user specification from configuration.nix will cause the actual user account to be deleted. If users.mutableUsers is disabled, it is no longer necessary to specify UIDs or GIDs." Read the brief release announcement on the project's home page, with further details available in the release notes. Download: nixos-graphical-14.12.231-x86_64-linux.iso (874MB, pkglist).